Prague is a well- known old city of Europe that is a host to many tourists all round the year. The aura of the place speaks for itself. Prague is the capital of Czech Republic whose traditional and archaic European ambience is too appealing than ever imagined. Czech is deemed to be the heart of Europe and has a population of more than ten million people out of which 1.3 million are nestled peacefully in the city of Prague. 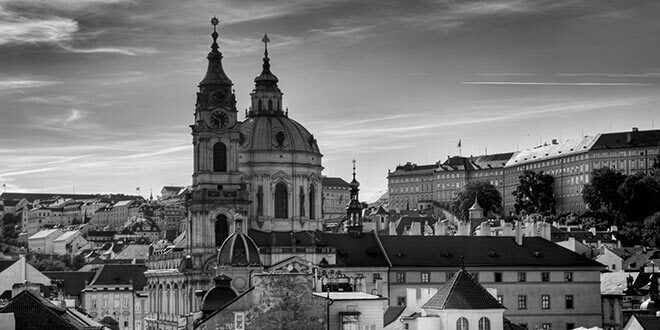 Prague has almost completely recovered from the Communist legacy and is fast becoming like any other big European city, with all the freedom and pitfalls that entails. The Czech Republic joined the EU in May 2004. Financially speaking, Prague is much more expensive than the rest of the country, much more for Czechs than for foreigners. The image of a cheap eastern European destination which some foreigners still remember is now history. 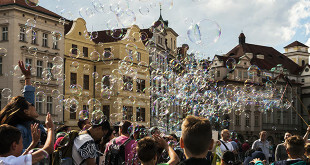 An interesting fact is that regardless of increasing immigration and a thriving expat community, the Czech capital is still very homogeneous – Praguers are almost all Czechs. But it doesn’t mean that locals dislike foreigners; Czechs are generally very friendly and open people. Although there is one exception: as the city continues to suffer from large numbers of British and Irish stag parties many locals have had enough of large gangs of noisy lads surfing from pub to pub on a tidal wave of beer and testosterone. So don’t be surprise when you see signs on pubs saying ‘no stag parties allowed’. 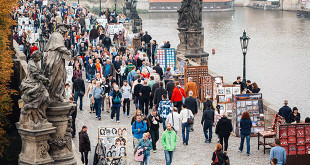 The Charles Bridge at Prague is a host to many visitors all round the year. This bridge was completed and made public in 1400. It displays grotesque architecture and river views that keep the visitors engaged especially during the summer season. There is also the eminent Wenceslas Square hat is deemed to be the heart of Prague and that grounds some of the most wonderful restaurants, shops and pubs in Prague. The Old Town centre is also a place worth visiting in Prague. The centre has on a parade some of the marvellous historical sites like the Old town Hall and the Astronomical clock where the visitors get to see the land from the 60 meter elevated tower. Getting around in Prague is quite simple and convenient. Besides the natural beauty that the place is blessed with, the human technology does not score less. There are trams, metros and buses to explore the charismatic place. There is the National Technical Museum, which puts to display old cars, bikes, planes, trains, cameras, watches and so forth. The best part is the museum itself that is a historical building of 1930’s. The Mozart Museum is worth appreciating. The music lovers can have a gala time here for the place offers historical music scores, letters and musical instruments that are exclusive and great to enjoy. Specifically for the artists is meant the Museum of Decorative Arts that presents Czech porcelain, crystal and wood -carvings. Not to overlook is the Wax Museum that has proven its worth across the globe. Apart from these there are many good museums and art galleries that are evenly spread across the city. Prague also has some of the magnificent castles like the Karlstejn Castle that was redesigned in 19th century and which is one of the most photogenic castles known so far. Close to the castle place, are sold exotic Bohemia crystals that the tourists often love to take back home. The Konopiste Castle is known for its French style architecture from 13th century. It is located about 44 kilometres a southeast of Prague and is thrown open for visitors from May to August. The Krivoklat is a 13th century castle that boasts a prison, torture chambers and one of the biggest non-church Gothic Halls in the Czech Republic. Prague is an ideal place for all the music devotees for they can relish the classical concerts at the State Opera and at the Rudolfinum or the Municipal House. 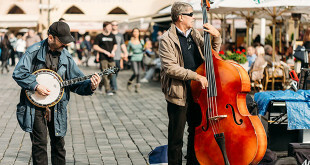 The Prague Autumn Festival is a big music event that offers lots of classical concerts and music. The Prague Spring festival is famous all over Europe. It is a liked cultural event that goes on from 12th May to 3rd of June every year. The nightlife of Prague is thrilling and active with music in the air and loads of pubs, discos and bars cuddled in the city. 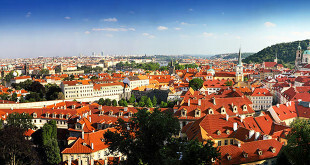 Besides these there are many other attractions that make Prague a perfect holiday destination.